Tourism revenue for the 2017/2018 financial year totalled €1356.5 million, showing growth of 4.1% relative to the year-earlier period. Growth in accommodation revenue was driven by all destinations, standing at 2.6% excluding supply effects: +7.1% for the Adagio residences, which had an excellent performance over the year, +2.2% for the seaside destinations, +1.0% for the mountain resorts and +1.6% for the Center Parcs domains, with growth in all destinations. Supplementary income rose by 3.7%, driven primarily by the rise in the volume of business generated by marketing activities. Revenue from the tourism businesses totalled €476.6 million in Q4 2017/2018, up 1.6% relative to Q4 in the previous year. Accommodation revenue stood at €302.5 million, up 1.7% adjusted for supply effects. Growth was driven by healthy performances from the Adagio residences that were up 7.9% over Q4. For the other brands, revenue rose 0.7%, despite disadvantageous events over the first two weeks of July (World Cup football tournament and transport strikes), the heat wave and competition from destinations in the Mediterranean Basin. This had the main effect of causing pressure on average letting rates (for Spain especially). Pierre & Vacances Tourisme Europe was up 0.5% excluding Adagio. Revenue from the seaside resorts (metropolitan France, French West Indies and Spain) was stable over the summer, whereas the mountain resorts rose by 4.2%. 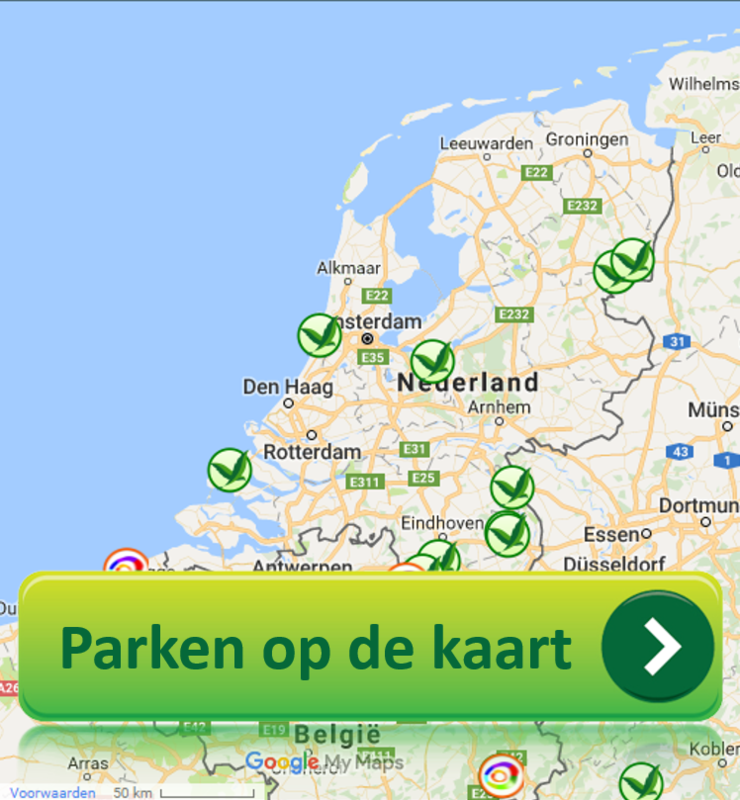 Center Parcs Europe was up 0.8% excluding supply effects, driven by the domains located in The Netherlands, Germany and Belgium. 2017/2018 revenue totalled €166.5 million, with the main contributions stemming from Les Senioriales (€85 million), Villages Nature (€12 million) and Pierre & Vacances residences in France (including Deauville and Méribel for €30 million) and Spain (€10 million). Property reservations with individual investors for the year represent revenue of €344.2 million, ahead of the level noted in the year-earlier period (€311.5 million). Given the shift to 2018/19 of the significant contribution from signings of block sales for renovation programmes at Center Parcs domains in Belgium and the Netherlands, the Group is expecting lower current operating income in 2017/2018 than in 2016/2017. 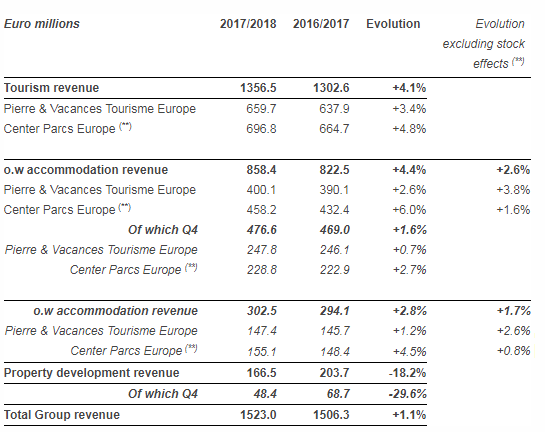 In view of the portfolio of reservations to date, the Group expects growth in the tourism businesses in Q1 2018/2019, at both Pierre & Vacances Tourisme Europe and Center Parcs Europe.